The Auxiliary is collecting coupons to be sent to our servicemen on Okinawa AND Campbell soup labels for the schools. The monthly meeting is held on the Second Tuesday of each month at 7 PM. The Executive Board meets before the General Meeting at the Post at 6 pm. Meetings are held on first Tuesday of each month at 7 PM. The next meeting will be on Tuesday, May 7th, at the Post at 7 PM. Next Post meeting is May 14th at 7 PM. We will have nominations from the floor for the upcoming elections and Post Everlasting Ceremony for members lost. Parking is now in the REAR of the building - through the back gate. Entry through the back door of the Post. The next "Post Work Day" on the Wednesday, February 27th, and ALL of the Post Family is asked to participate! 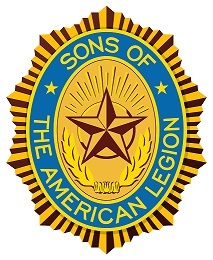 This includes the Legionaires, Auxiliary and Son's members. Please try to attend, if possible. A lunch will be provided. Click here for the MAR / APR Newsletter. To see the newsletters for the last 5 years, use the tab on the left. 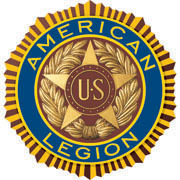 If you are unable to attend the meeting in person but wish to attend over the phone, or by computer, please let the Adjutant know! Text the Adjutant at 407-619-9611 by 5 pm so that we know that you are calling in to the meeting. Want to use your WiFi connected device at the Post? Ask one of the officers for the log in code. Are you missing out? Do you get the meeting and event notices (and newsletter) by email? Send an email to "flpost112-subscribe@yahoogroups.com" to be added to our list. Be sure to include your name in the message. (+) Indicates that the Conference Bridge is available. Call 407-289-2725 PIN: 2892#. This is a NEW number and PIN and it is LOCAL Orlando.